"In the half century since Harry Markowitz introduced his elegant theory for selecting portfolios, investors and scholars have extended and refined its application to a wide range of real-world problems, culminating in the contents of this masterful book. 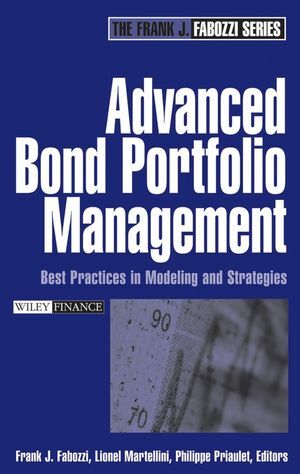 Fabozzi, Kolm, Pachamanova, and Focardi deserve high praise for producing a technically rigorous yet remarkably accessible guide to the latest advances in portfolio construction." "The topic of robust optimization (RO) has become 'hot' over the past several years, especially in real-world financial applications. This interest has been sparked, in part, by practitioners who implemented classical portfolio models for asset allocation without considering estimation and model robustness a part of their overall allocation methodology, and experienced poor performance. Anyone interested in these developments ought to own a copy of this book. The authors cover the recent developments of the RO area in an intuitive, easy-to-read manner, provide numerous examples, and discuss practical considerations. 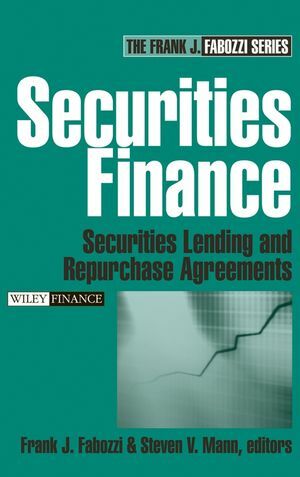 I highly recommend this book to finance professionals and students alike." Frank J. Fabozzi, PhD, CFA, is Professor in the Practice of Finance at Yale University's School of Management and the Editor of the Journal of Portfolio Management. Petter N. Kolm, PhD, is a graduate student in finance at the Yale School of Management and a financial consultant in New York City. He previously worked at Goldman Sachs asset management where he developed quantitative investment models and strategies. Dessislava A. Pachamanova, PhD, is an Assistant Professor of Operations Research at?Babson College. Her experience also includes work for Goldman Sachs and WestLB, and teaching management science, probability, statistics, and financial mathematics at MIT and Princeton University. Sergio M. Focardi is a founding partner of the Paris-based consulting firm, The Intertek Group. Quantitative Techniques in the Investment Management Industry. Central Themes of This Book. PART ONE. Portfolio Allocation: Classical Theory and Extensions. CHAPTER 2. Mean-Variance Analysis and Modern Portfolio Theory. Classical Framework for Mean-Variance Optimization. Selection of the Optimal Portfolio When There Is a Risk-Free Asset. More on Utility Functions: A General Framework for Portfolio Choice. CHAPTER 3. Advances in the Theory of Portfolio Risk Measures. Portfolio Selection with Higher Moments through Expansions of Utility. Polynomial Goal Programming for Portfolio Optimization with Higher Moments. Some Remarks on the Estimation of Higher Moments. The Approach of Malevergne and Sornette. CHAPTER 4. Portfolio Selection in Practice. Portfolio Constraints Commonly Used in Practice. Incorporating Transaction Costs in Asset-Allocation Models. PART TWO. Robust Parameter Estimation. CHAPTER 5. Classical Asset Pricing. Capital Asset Pricing Model (CAPM). CHAPTER 6. Forecasting Expected Return and Risk. Dividend Discount and Residual Income Valuation Models. The Sample Mean and Covariance Estimators. Arbitrage Pricing Theory and Factor Models. Other Approaches to Volatility Estimation. Application to Investment Strategies and Proprietary Trading. The Intuition behind Robust Statistics. CHAPTER 8. Robust Frameworks for Estimation: Shrinkage, Bayesian Approaches, and the Black-Litterman Model. Practical Problems Encountered in Mean-Variance Optimization. CHAPTER 9. Mathematical and Numerical Optimization. Necessary Conditions for Optimality for Continuous Optimization Problems. How Do Optimization Algorithms Work? CHAPTER 10. Optimization under Uncertainty. CHAPTER 11. Implementing and Solving Optimization Problems in Practice. Practical Considerations When Using Optimization Software. Specialized Software for Optimization Under Uncertainty. PART FOUR. Robust Portfolio Optimization. CHAPTER 12. Robust Modeling of Uncertain Parameters in Classical Mean-Variance Portfolio Optimization. Some Practical Remarks on Robust Portfolio Allocation Models. CHAPTER 13. 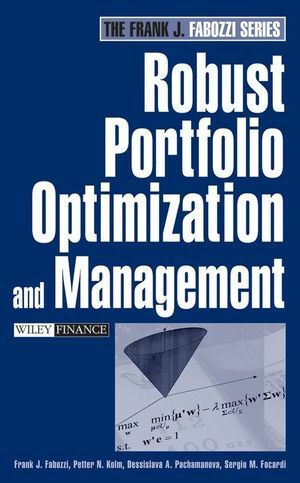 The Practice of Robust Portfolio Management: Recent Trends and New Directions. Some Issues in Robust Asset Allocation. Understanding and Modeling Transaction Costs. CHAPTER 14. Quantitative Investment Management Today and Tomorrow. Using Derivatives in Portfolio Management. Quantitative Return-Forecasting Techniques and Model-Based Trading Strategies. Trade Execution and Algorithmic Trading. APPENDIX A. Data Description: The MSCI World Index.